Welcome to the BioProcess International Conference and Exhibition, your one-stop industry resource for driving down costs; improving quality; achieving rapid, robust, and resilient process development and manufacturing. This week you will have an opportunity to explore challenges, uncover solutions, and develop opportunities at the largest and most highly respected event solely dedicated to biopharmaceutical manufacturing. In-depth coverage of antibody–drug conjugate development and production. This annual event also offers an expanded roster of preconference symposia to help you gain new skills and update your knowledge in a variety of areas. Learn from more than 180 case studies and cutting-edge presentations. Consult with more than 150 product and service providers in the exhibit hall. Develop valuable partnerships through rapid-f ire speed networking. And take advantage of continued consultations with fellow attendees through our LinkedIn group online. 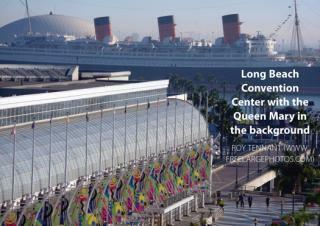 With all these opportunities for gaining new knowledge, meeting new people, and having important discussions about the future of the bioprocess industry, we know you will benef it from your attendance at the beautiful Long Beach Convention Center. We appreciate your participation and wish you a wonderful week! And please stop any IBC staff member and offer your comments about our program. We welcome your feedback to continuously improve this great event. Genome Project: Where Do We Go from Here? Please refer to the previous page for details about symposia, keynotes, plenaries, and other special events.